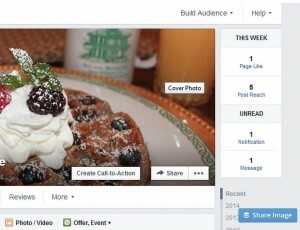 One of the most popular posts on About the Inn over the years has been a post on how to add a booking form to your Facebook page. However, this has frustrated many, as it requires a bit of cut-and-paste code, and only works for some booking engines. Finally, Facebook has made a move in the right direction, adding a booking button for everyone! Our friends over at Acorn Internet Services have a blog post with step-by-step instructions and screenshots. Head on over there and get yourself a direct link from Facebook to your booking engine.